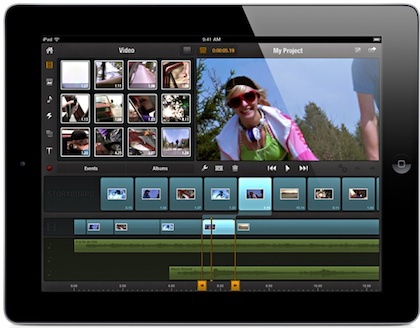 A couple points about editing videos – we like iMovie but miss some of the quick edits in the older version that where lost in the current version. 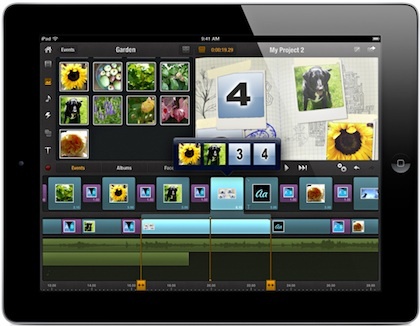 And, there is this new app for the iPad called Avid Studio that everyone got excited about without actually testing it. We like to give app a bit of time before we talk about them, no need to be the first to mention and then have a lot of readers disappointed. For Avid Studio, we wanted to play with making movies from videos, pictures and music. Not just putting things together end-to-end, but actual editing like trimming sections out of the middle of our videos. Sounds like a basic feature, but it’s something that is missing from most editing tools. So you don’t have to read the whole post, we are able to say we are pretty excited about what Avid Studio can do. 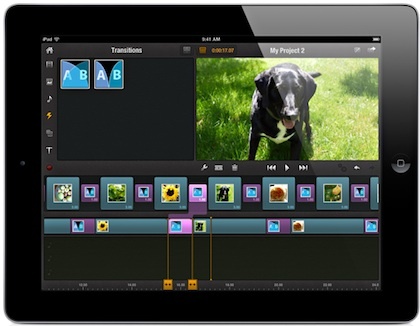 Literally, we can edit videos we shot with our iPad2 and iPhones into movies that are more than just cute family slide shows. 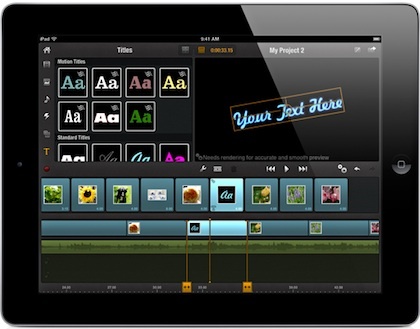 Be fore warned… Avid Studio needs more power than the original iPad has, you will be disappointed if you buy and try to use on the earlier hardware. Assemble images and video bits into a single movie. Add a sound track, adjust the timing, trim off front/end/middle and put the parts back in somewhere else. So far, Avid Studio has met our creative ideas. Transitions isn’t’ just for moving from one video cut to the next. Avid Studio has a variety of styles that you can control the path and timing. These work on inserted images as well so a movie can have images inserted into the action. An unexpected feature was layouts of multiple images that could move, flying in/out. A effect you may know best from TV show lead ins, but now your own personal/business videos can have high impact effects too. Yes, even text, font and transitions are available to add to your Avid Studio movies.